In this guide i will not tell you any thing special, i will just show you few paths and you will choose by yourself which build will be the most useful. Have 700 hp pool at 1st level. 2 his spells break through spell immun like Black Kings Bar. We will receive 50 point of hp for every death of enemy in 450 radius. 34% magic resist with the help of Flesh Heap. We can perform suicide with Rot, and take all exp and money with ourself. In solo fights win 50% of all Dota 2 heroes. Movements speed – 285 and this is slow. Very slow. Have big problems with mana pool at all stages of game. Have a low base armor, need to buy something to compensate. 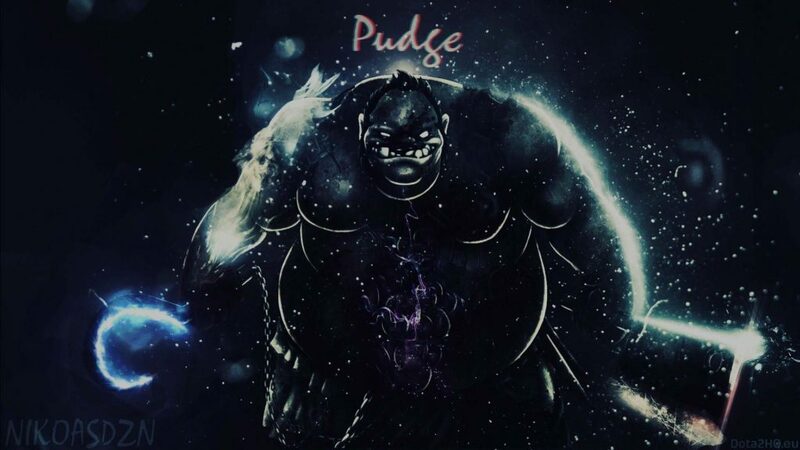 The most powerful spell of Pudge. You can destroy formation of enemy just by hooking one of them under tower. Other will run to save him, or just leave him be. At 25 level with Aghanim’s Scepter and Aether Lens hook deal 500 pure damage even through magic immun with 4 sec cooldown and 1500 range. 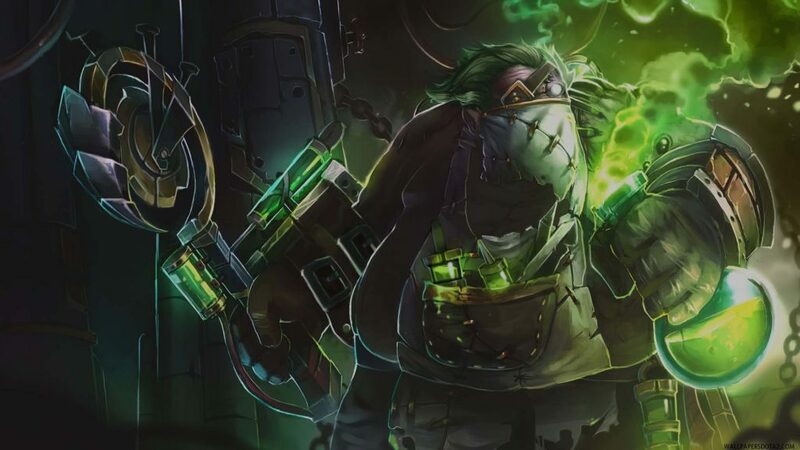 Slow for 30% at all stages.You can not both attack enemy and go after him due to your low movement speed, so best way will be running around your enemy but do not attack him until he almost die (other way creeps will attack and can block you) and then kill him with hook or melee attack. Remember that rot do not cancel teleport and ultimate. Useless in early game so do not take this until 10 level. Stacks will accumulate even if you do not take this ability. So do not afraid to loose some stacks in early game, go ahead and kill somebody. 3 second stun on enemy hero that also deal good damage and works through Black Kings Bar, what can be better? Also it will heal you, so do not afraid to use this ability on fat creeps like Golems, Catapults just to restore your health. Gank is divided at 2: Heroes with escape like Phoenix, Anti-Mage; Heroes-food like Sniper, Crystal Maiden. In first case you need to use your ultimate while target stunned by hook, to perform insta ultimate, in other case – Hook -> 1-2 melee attacks -> Ultimate. Play style described in this guide – aggressive, kill heroes everywhere and always. Different roles of Pudge boil down to two things: get the 7 level and Arcane Boots, as soon as possible. Which way you’ll get it – you decide. Pudge Mid: gank until 7 min and you will be noticed by opposite ward with high probability. Even if enemy did not have wards, we will have only 1 attempt to Meat Hook. Obviously, then enemies will know that we near and they will try to hide And now let’s get back to the Middle. Well, it will be good if your Tower will still be there. However, in any case, the opponent will be 1-3 levels above us. It is a failure. Helping via Town Portal Scroll, only if the enemy dive under Towers, and we see that we can make a frag with a high probability. In general, at the beginning of the game we do not create moments and wait for the enemy mistake. 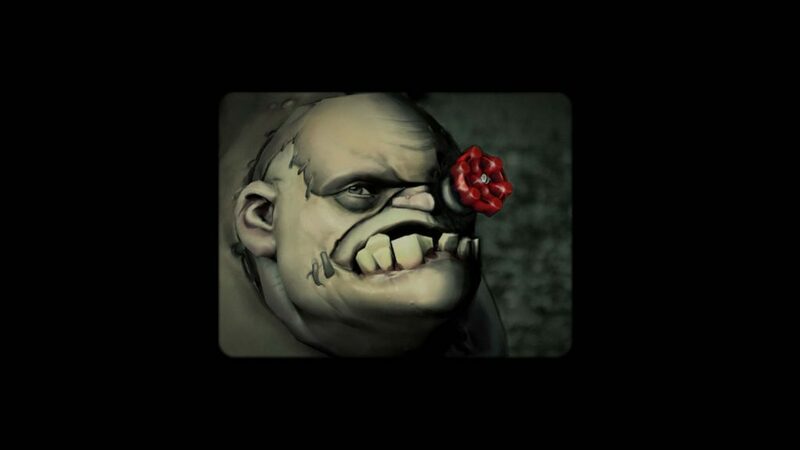 Pudge Support: gank mid Only if you are invisible rune. Usually enough to use Rot close to the opponent, everything is simple. You can gank in Smoke of Deceit, but the chances will be smaller, about 50 to 50. In the worst case, we lose a lot of experience, it would be better stack creeps. At best, the team won mid lane. Make the save-TP always, even if you can not Save anyone, in the worst case, get experience in the lane of our comrade, resting in a tavern, and this experience we really need. Pudge Hard: look at experience farm if it possible. If the enemies zone us and we do not reach creeps, then every 2nd minute walk to the rune. Subject to Midder, so he fill his Bottle and did not lose the center line. In the pocket you must always have Town Portal Scroll to the case of dives from an opponent in another part of the map. After receiving the 7-9 level and Arcane Boots comes the fun: buy Smoke of Deceit, fly on the line, where we can make a frag with an ally, it is desirable to kill or try to kill the enemy carry. Do these attacks on the CD: buy wards, fly, fight, and die again and again, and again. So where is IMBA, you ask? Hmmm .. In your hands and mind of course! Even all this knowledge will not help you win, if you making decisions too long. Pudge – hero of reaction, micro moments, and mini-map. Mini Map allows you to collect a huge amount of information: movement on Wards, the destruction of our wards, installation of enemy wards, diving under Towers from enemies. All this should be monitored every 20-30 seconds. It does not matter if we lose line, Pudge is weaker than many heroes in this part of the game, remember the task at the beginning of the game? Arcane Boots and 7 level. Then go gank with allies, we will be able to kill by themselves or the wounded heroes, or when we receive at least some benefit. And with that knowledge we can easily boost our MMR to around 5k. This entry was posted in Boost, Dota2 and tagged Advices, Beginners guide, boost, dota, dota 2, Easy, mmr, mmr boost by Game Boosters Group. Bookmark the permalink.